Maurizio Sarri opted to keep Morata in his first-team plans ahead of this season. Once again, the striker struggled as he managed just five Premier League goals from 16 appearances before being shipped out on loan to Atletico Madrid in January on an 18-month deal. As a result of Morata’s struggles, Gonzalo Higuain was brought in to the club. 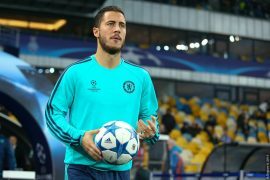 The 31-year-old arrived at Stamford Bridge with heavy expectations – especially as he is widely regarded as being one of the best finishers in world football. So far, the Argentinian has been less than impressive. He has managed just three goals from eight Premier League games. All three of his goals in the top flight have come against Fulham and Huddersfield Town, who are widely regarded as being the worst two sides in the Premier League this season. The Blues will have the option of extending Higuain’s loan deal or buy him permanently from Juventus at the end of the season. However, they should only do so if the player manages to be prolific in front of goal between now and the end of the season. They should learn from their lessons. They will save on wages and fees if they see that he is clearly not a fit. Should it be evident that Higuain is not suitable, the Blues must consider bringing back Tammy Abraham and Michy Batshuayi to the club this summer if their transfer ban still stands. Alternatively, they can also look at deploying Eden Hazard in the false-nine role in a worst-case scenario.